You can think your way into a great life. Your thinking and results can be controlled by your paradigms. 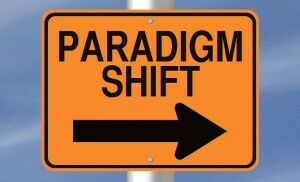 Paradigms are your mindsets, Ideas and the habits that you developed over the years. Paradigm is the “operating system” on which your mental processes run. Paradigms create the filter through which most people view and make sense of the world around them. When an information is presented, your mind runs through all of the things it already knows about that piece of information and makes a determination whether the information is good or bad, desirable or undesirable, possible or not at all. All these analysis are influenced by your existing paradigms. If your paradigms are positive, you will have a growth-oriented life, a healthy self-image, and the ability to adapt successfully to changes, upsets, and unforeseen events. If your paradigms are negative or limiting, you will be stuck in the old ways of thinking. Negative paradigms keep you as imprisoned as a cell with few iron bars. In order to change your life, you need to change your paradigms. Step One: Write down one thing – a goal, dream or the challenge that you have not yet resolved in your life. Your subconscious mind thrives on detail, so describe to your subconscious mind with unusual clarity. Step Two: Create a mind map of your goal and everything you think about the goal as associations. Everything from good, bad and ugly about that the thought of the goal brings to your mind. When you feel like you have come up with substantial number of associations, take a good look at what your mind has shown you. You are looking at your paradigms. Step Three: It’s time to address your paradigms and ask “why?” I suggest that you zero in on a few of the most powerful paradigms, the ones that have the biggest negative impact. Ask yourself, “Why do I think of this? Where does it come from? Where did I get such an idea?” Keep on digging until you’ve exhausted every possible scenario. And finally, now that you know what your paradigm is on any given topic, create an affirmation that will assist you in re-programming your mind, something that is the opposite of your paradigm. 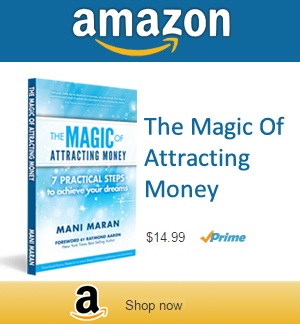 For example, if your paradigm is you’ll never earn a lot of money, your affirmation might be, “I am a magnet to money; I now have all that I want”. Write your affirmation on a 3 X 5 card and repeat it daily, as many times as possible. In time, you’ll begin to notice acting in a different way. After changing one negative paradigm, it is time to work on another one!